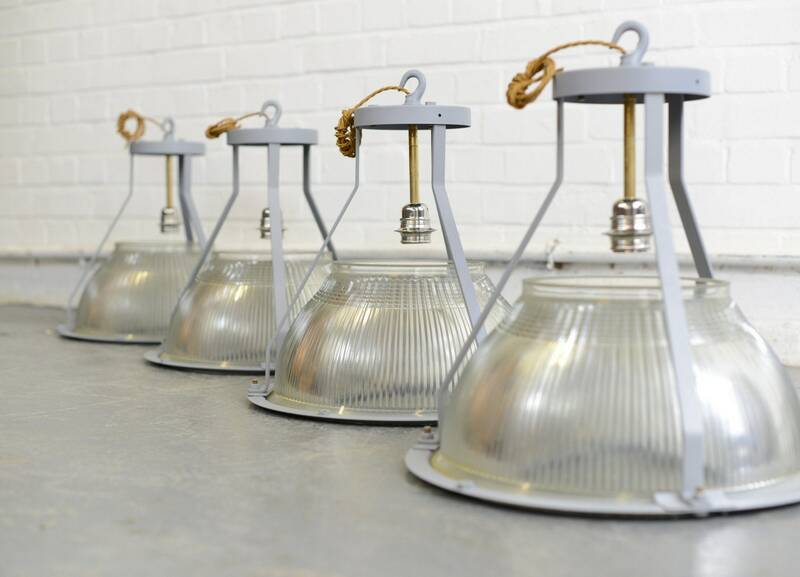 Holophane is a manufacturer of lighting-related products founded in 1898 in London, England. 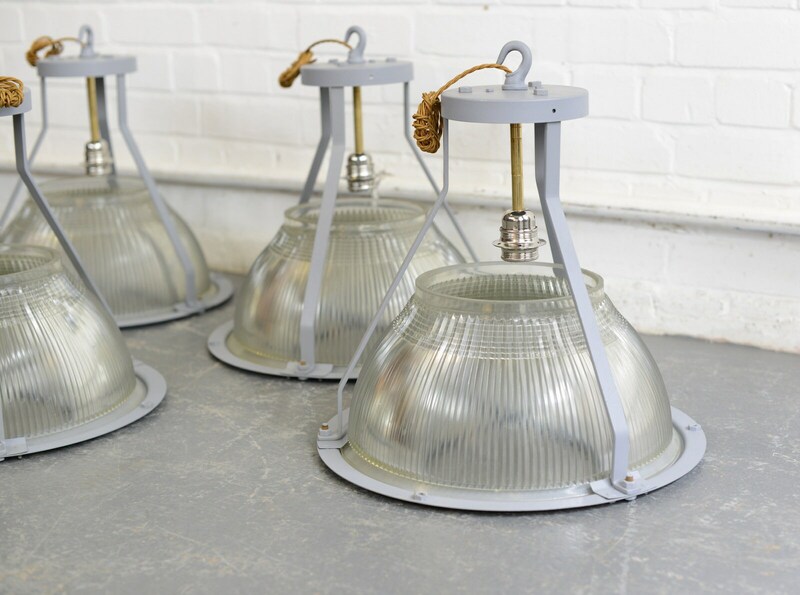 The company is a UK-based (Milton Keynes, England) and US manufacturer (based in Newark, Ohio) of lighting fixtures for commercial, industrial, outdoor, and emergency applications. The Holophane name is derived from the Greek ‘Holos’ meaning whole and ‘phanos’ meaning light. 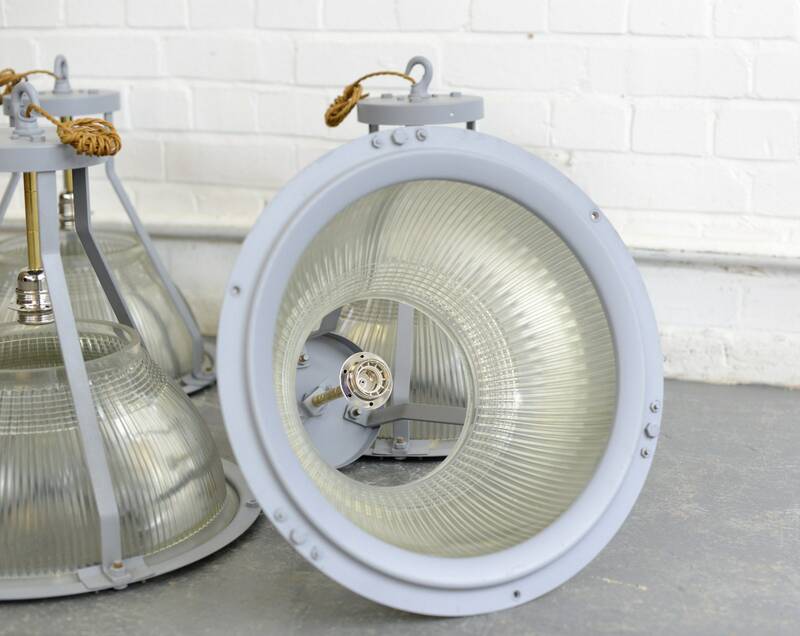 The company is noted for its glass reflector/refractor. 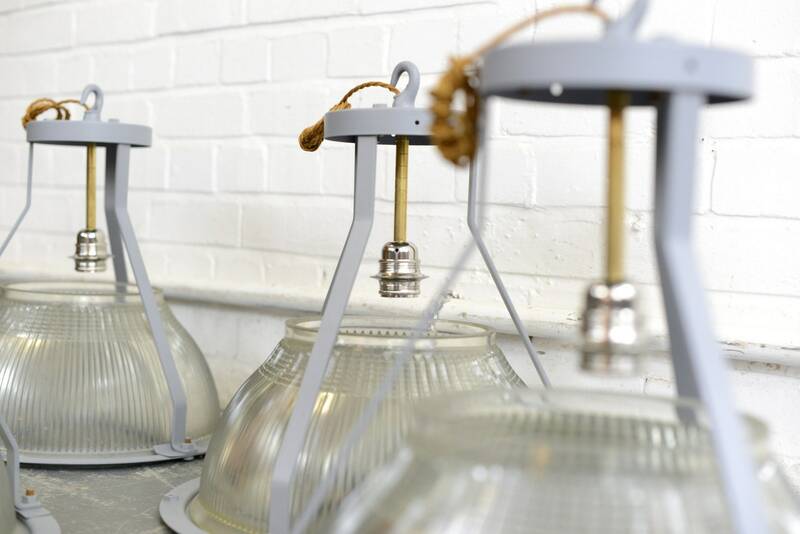 In addition, it manufactures lenses for street lights, including General Electric, Cooper Lighting, and Lithonia Lighting. Holophane has been integral in the Illuminating Engineering Society of North America since its inception in 1906, with the first meeting being held in the headquarters. 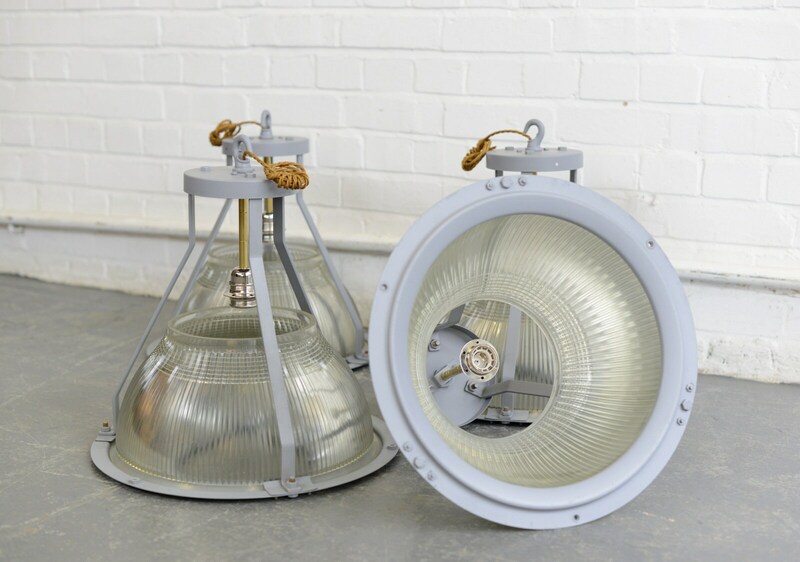 The hallmark of Holophane luminaires, or lighting fixtures, is the borosilicate glass reflector/refractor. The glass prisms provide a combination of uplight and downlight to illuminate any environment evenly without creating dark spots or glare. 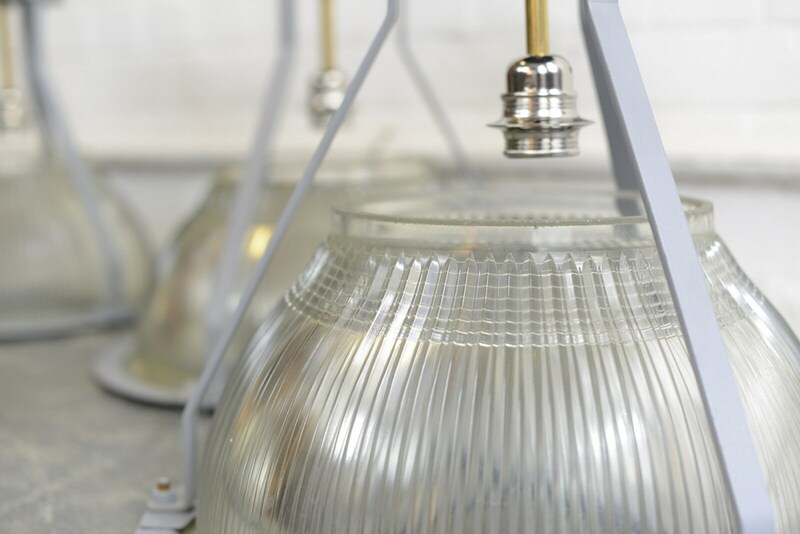 This ribbed glass shade/reflector, called "Holophane" or "Holophane style/type" is iconic in "vintage" style lighting, and is licensed and copied throughout the lighting industry. 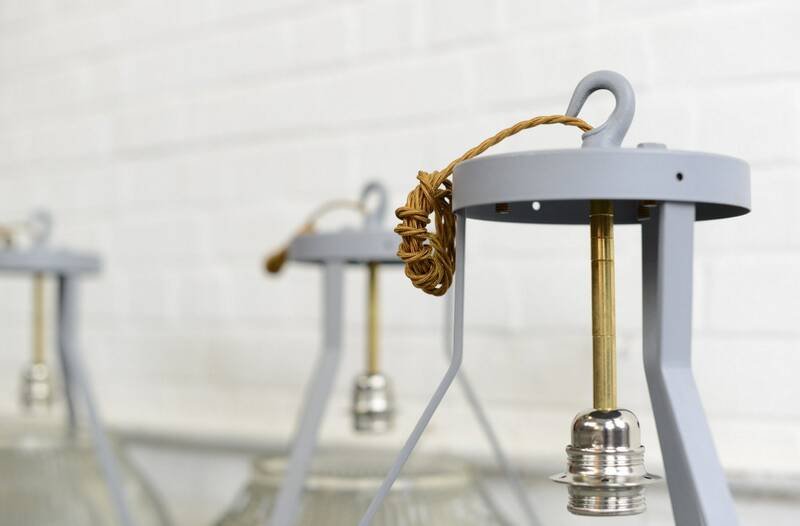 Fully re wired with modern electrical components, the steel frames have been re painted in a grey colour close to their original colour.